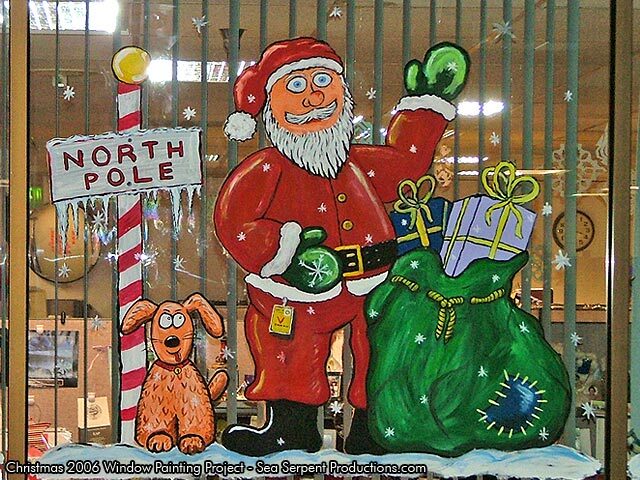 NGS are offering a bespoke window decoration display service aimed at launching your Christmas spirit and fabulous Yule Tide season. Below are 2 great articles and some inspiration… am sure you have plenty of ideas. 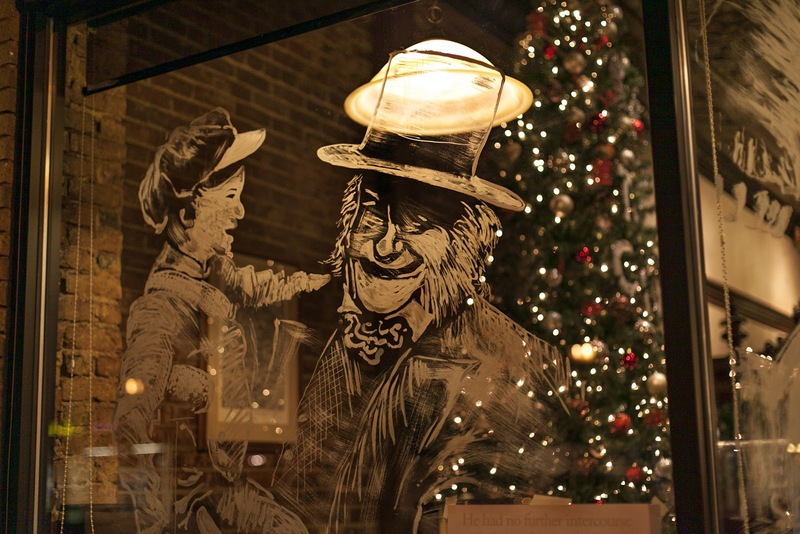 The folks at The Coffee Pot in downtown Greenville have once again teamed up with local artist Michael Glass to cap off their Christmas preparations with a series of window paintings. 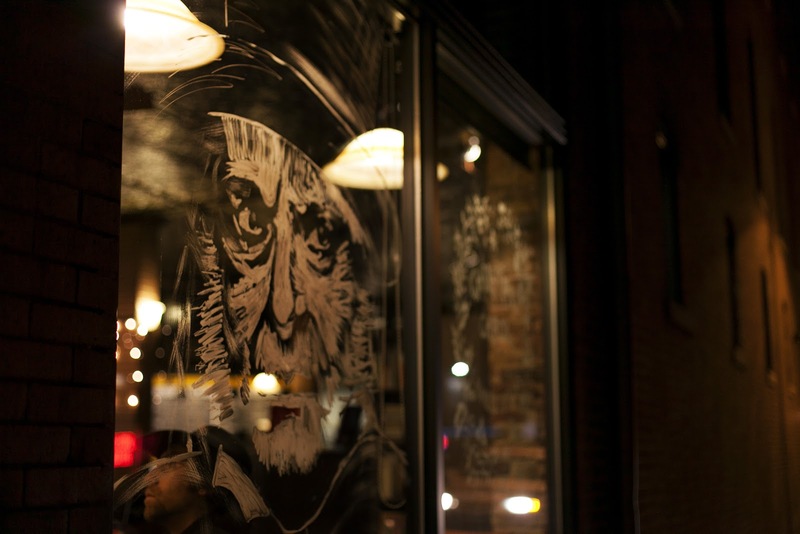 For their second year, Rob and Amber Garrett, owners of The Coffee Pot, decided to feature Charles Dickens’ “A Christmas Carol” with a portrait by Glass on each window depicting major scenes in the book. 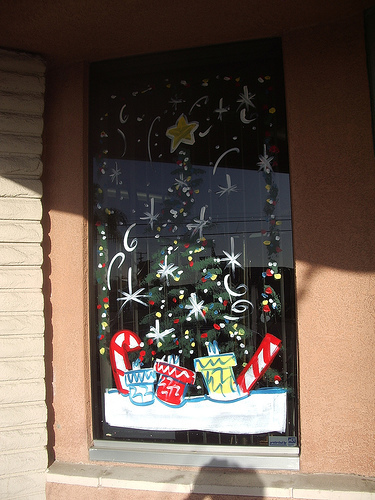 The Garretts want to create traditions that residents can look forward to each year and mentioned that they have been asked many times about the window paintings throughout the year in anticipation for the holiday season. 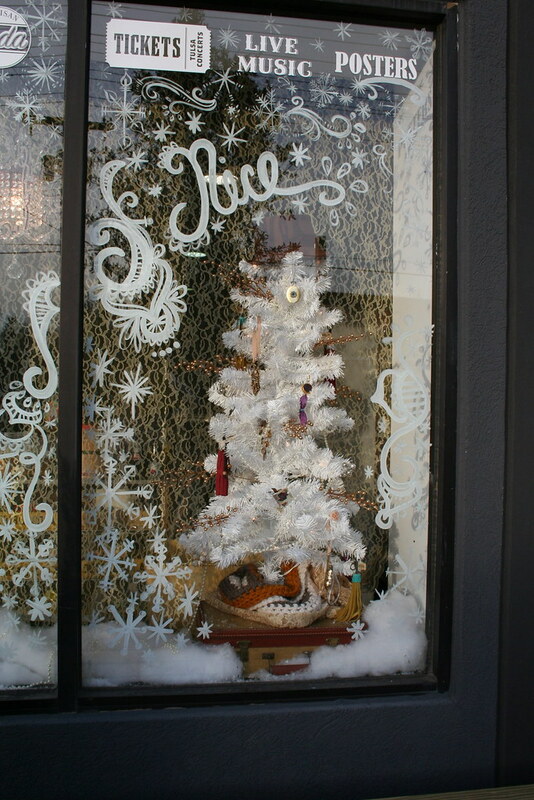 Last year, Glass painted several Dickensian type portraits, although there was no direct connection to the classic Christmas tale. This year, they decided to focus the paintings on the story itself, and intend to feature different Christmas stories each year. This year, if you begin on the corner of 5th and Broadway, you will see the title of the story followed by a portrait of Scrooge. As you work your way north down Broadway, the windows hit the main beats of the story, including the ghosts and the eventual meeting on Christmas Day with Tiny Tim. 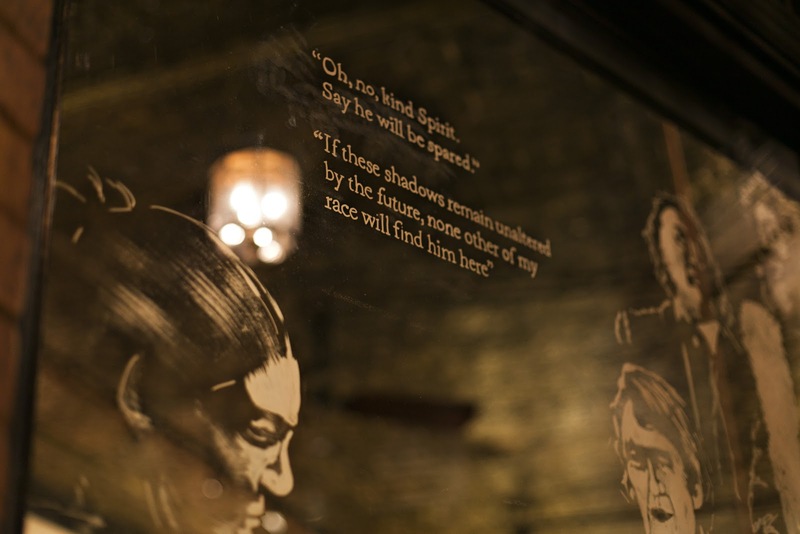 Each portrait also contains a quote of a relevant passage from the book, painstakingly painted by Glass. Michael Glass was still putting the final touches on the paintings on Wednesday evening. He said he has spent approximately 5-6 hours per painting from initial sketch to the final product. He also is producing a video demonstration on the methods he is using to produce the paintings with the hope that other artists could do similar works at other locations. Stop by and check out the paintings and the incredible level of detail Glass has put into each one. You can learn more about the art of Michael Glass by visiting his website by clicking here, and catch the many things happening at The Coffee Pot by “liking” their Facebook page. 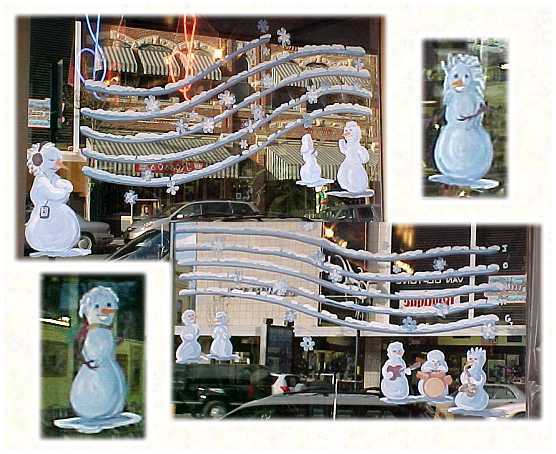 I was asked to paint a christmas scene on the windows of cell phone dealer and to get some inspiration I decided to google some unique window paintings. I was severely disappointed with the lack of creativity of these window painters! 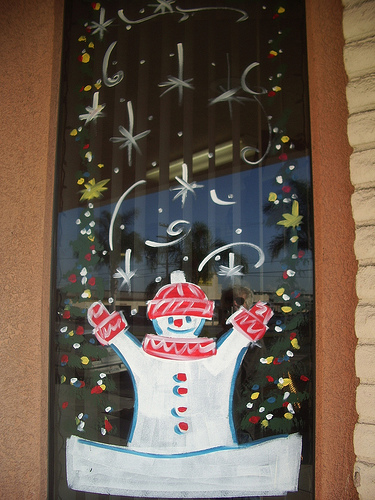 So then I started taking notice of all the paintings around town and found the same boring Santa’s, mistle toe and wreaths painted on windows everywhere. I ended up painting Santa excited to look down at his blackberry and see Mrs.Claus calling him. Rudolph was beside him looking down at a wishlist that included phones like BlackBerry and Hero as well as Telus TV. Here are a couple holiday paintings that I thought took some dandy creativity. The first two aren’t necessarily creative imagery, the style is just unique. 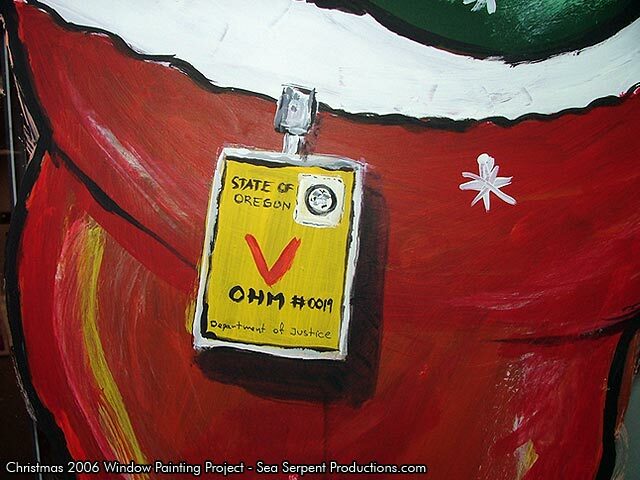 This next one seems plain enough, but Santa is wearing a visitor’s pass to the place whose window he’s painted on. This next one was obviously painted on a travel agency. And this last one is the most original in my opinion, painted on a music store.